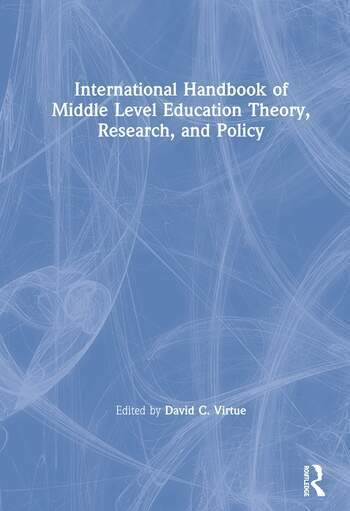 The International Handbook of Middle Level Education Theory is a landmark resource for researchers, graduate students, policy makers, and practitioners who work in middle level education and associated fields of study. The volume provides an overview of the current state of middle level education theory, research, and policy; offers analysis and critique of the extant literature in the field; and maps new directions for research and theory development in middle level education. The handbook meets a pressing need in the field for a resource that is comprehensive in its treatment of middle level research and international in scope. Chapter authors provide rationales for middle level education research and definitions of the field; discuss philosophical approaches and underpinnings for middle level education research; describe and critique frameworks for quality in middle level education; review research about young adolescent learners, middle level school programming, and educator preparation; and analyze public policies affecting middle level education at national, regional, and local levels. David C. Virtue is Professor and Department Head of the Curriculum and Teaching Department at Auburn University. His areas of scholarly interest include social studies instruction, comparative and international education, and middle level teacher education and certification policy.